This article is a reprint from a Chiroweb article that I felt was helpful for doctors that are considering getting into Spinal Decompression. Last March, the American Chiropractic Association (ACA) adopted an official policy on the coding of spinal decompression services. Since so few have had the opportunity to review the ACA’s policy, this column is devoted to the ACA’s position, as well as several other subjects relating to spinal decompression therapy. If you are confused about the claims being made about spinal decompression and do not know which spinal decompression system you should consider purchasing; if you currently have a spinal decompression table, but don’t know how to market or code your services; or if you do not have any office procedures relative to your spinal decompression therapy service – you are most definitely not alone! In fact, just one short year ago, my office was in the exact same boat. After purchasing our spinal decompression table, I searched high and low for the answers to those questions, but quickly found that they simply were not available. I didn’t know the best way to market our spinal decompression services; didn’t know how to properly code the services; and didn’t know what practice procedures we should utilize. Well, that was then and this is now! After a full year of “trial and error” marketing, developing office procedures and researching proper coding, I now have what I consider a vast knowledge of what you should do – and more importantly, what you should not do. First and foremost, it is extremely important to make sure you code spinal decompression therapy correctly. While many doctors are coding spinal decompression therapy as Therapeutic Exercises (97110), Therapeutic Activities (97530) or Manual Therapy (97140), I strongly recommend against doing that because I believe it would be billing fraud. I also strongly recommend against using surgical codes for the treatment since spinal decompression therapy is not surgery and could definitely subject the provider to prison time. In my opinion and the opinion of the ACA, the two appropriate codes for spinal decompression therapy are 97012 (Traction), which will result in very limited reimbursement under insurance policies; and S9090 (Vertebral Axial Decompression), which usually will result in no reimbursement. My office uses the S9090 billing code for two reasons. First, we are telling the insurance company exactly and correctly what the treatment is. While insurers will most likely deny the service, most do not have a prohibition against a doctor, as a PPO provider, collecting for the treatment from the patient. Second, it allows the provider to charge an amount that corresponds with the cost of the spinal decompression system and the staff time spent during each session. 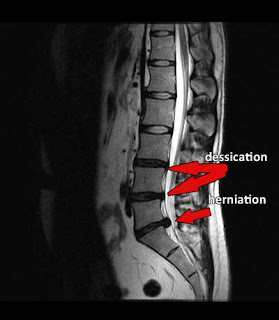 After taking the patient’s history and then giving an explanation of how spinal decompression works (by stopping the muscle guarding so decompression can occur at the disc level), candidly outline the following four major points to the prospective spinal decompression therapy patient. Give the patient the basis for the number of treatment sessions (e.g., my office uses a 20-session protocol). 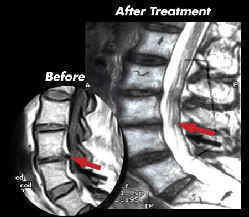 Spinal decompression, if billed correctly, is rarely covered by insurance. Explain why. The session fee for spinal decompression (all sessions) should be paid in advance. In our office, we explain the rational basis for that requirement. Should chiropractic adjustments and/or passive therapy and/or active therapy be indicated, explain that those treatments will be governed by the provisions of the insurance contract. After furnishing that forthright and candid information to the prospective spinal decompression patient, apply no pressure whatsoever. In fact, ask the patient what they would like to do. Some want to think about it or talk to their spouse, while others are eager to be examined so they can begin treatment immediately. In the final analysis, almost all who come in for a consultation ultimately begin (and complete) the 20-session protocol. To ensure that there is no misunderstanding between the patient and our office about our fees and how the service will be coded and billed, we have the patient sign an acknowledgement of the agreement.